The festival Guru Purnima falls on 27 of this month. I am writing to make you familiar with the importance of the festival. Well, it is mainly celebrated to honour the Guru. Guru holds a very important place in our life as it paves the way and directs us towards the path of a righteous deed. 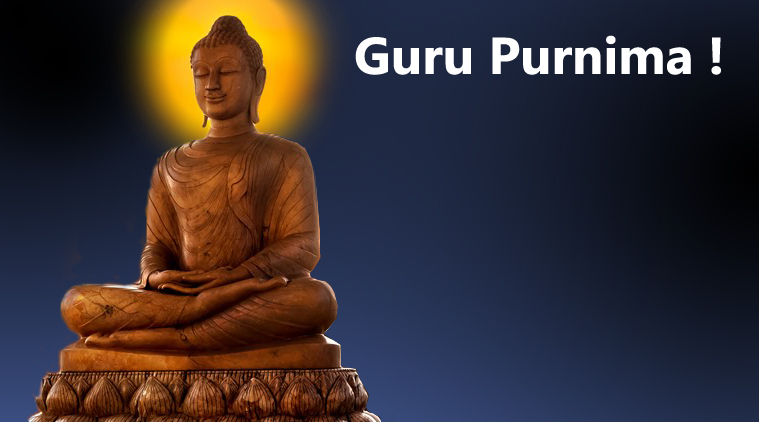 Guru literally means a spiritual guide or teacher that paves the way for ignorant. The word has its root from the Sanskrit which describes “Gu” as the darkness of ignorance and “Ru” means removal of the darkness. Hence the “Guru” means the figure that drives people to the field of knowledge from darkness (ignorance). As per the mythological evidence it is celebrated to mark the birth anniversary of the great sage VED VYAS who made greatest contribution in dividing Vedic hymns into four parts and taught them to his four disciples called Paila, Vaisampayana, Jamin and Sumantu. According to the other Vedic lore, on this, Lord Shiva became the first Guru i.e. Adi Guru while other suggest Gautam Buddha gave his first sermon at Sarnath on this day and the first teaching of Lord Buddha came into being. While in the southern part of India people believe that the great saint Ved Vyas reincarnated as Shankaracharya. Thus, the devotees worship Shankaracharya. Well, as per the modern theory, it is celebrated to express gratitude to the religious Guru be it they are in the form of saints, mentor or the teacher. in my hometown, a large number of devotees gathered around the Sai Temple at Dharmpura singing in praise of Sai Baba of Shiridi. As per the mythological evidence, he was the grandfather of Kauvrav and Pandav and the author of the great epic the Mahabharata (largest poetic composition of the world) it contains 1000 hymns in it. Based on their uses of rites and characteristics, Vyas divided Vedas into four categories and named them as Rig, Yajurved, Sam and Athrav based on their uses of rites and characteristics. He was the authors of Bharmsutra and all 18 Puran and recited the great epic The Mahabharata. He also composed the Brahmsutra, one the shortest theologies of Hindu philosophy. Well, Guru Purnima is nothing short of teacher’s day that is celebrated to honour our former President Saris celebrated here. However, Modern teachers day is mainly confined to the teachers in schools or colleges. Please read my blog on Kabir Das by clicking the links.